Did you know that dental care is the most neglected health need among children? 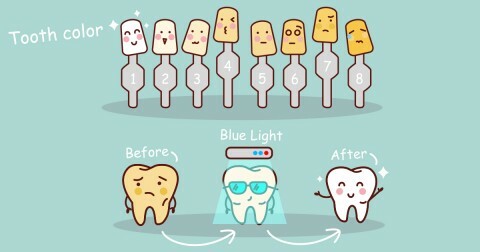 Brushing at home is just not enough to keep their smiles healthy. Children can’t afford to go without dental care. 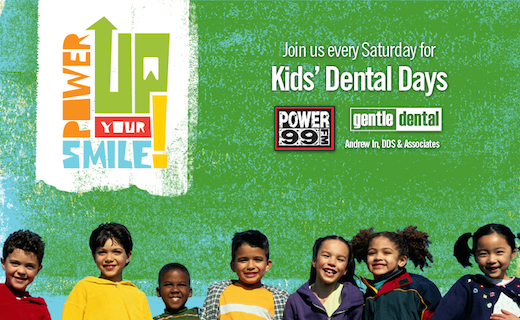 Join Power 99 and Andrew In, DDS of Gentle Dental on our mission to power up healthy smiles. Routine dental appointments for preventive care like cleanings often don’t cost you a dime*. Don’t miss this fun-filled event complete with fun prizes at select office locations from July 19 through August 16. We care about kids and want to see them smile, but we won’t be happy until all of their smiles are healthy. That’s why we’re thrilled to bring children the dental care they need in an affordable way that makes parents smile, too. So we’re calling all kids to come to a participating Gentle Dental of Pennsylvania for Kids’ Dental Days. Our fun, kid-friendly doctors and staff will be treating kids with the gentle care they deserve. All services will be provided by our best general dentists. Since this event is always very popular, we suggest that you call 888-SMILE-FIX today to guarantee your appointment. Walk-ins are also welcome, and we have multi-lingual staff to ensure that we meet everyone’s needs. Stay up to date on all the fun and chances to win cool prizes by joining our Kids’ Dental Days event on Facebook. We have tons of surprises planned, so stay tuned! *With most plans that cover children. Call for details. No out-of-pocket charges (for patients with CHIP, medical assistance, Medicaid for children and many other insurance plans). All services provided by general dentists. July 11 from 12:00 p.m. – 2:00 p.m.
July 19 from 9:00 a.m. – 2:00 p.m.
July 26 from 8:30 a.m. – 2:00 p.m.
August 16 from 8:00 a.m. – 2:00 p.m.
To learn more about Kids’ Dental Days in Philadelphia, call Gentle Dental of Pennsylvania today at 888-SMILE-FIX or make an appointment. Because the workers are professionals and are interested in the well being of clients. That is why I did not change my dental office , even after Dr. Henrichson retired.